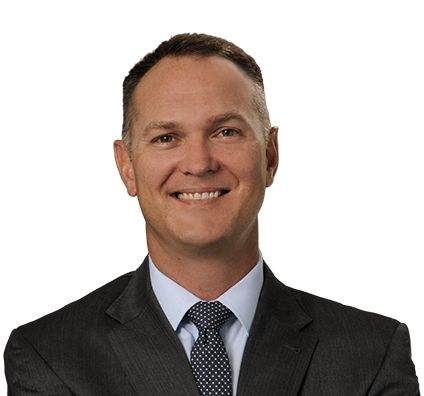 Jeff is an experienced litigator who concentrates his practice in the areas of business and construction litigation. Jeff regularly represents companies in state and federal court involving breach of contract, fraud, breach of fiduciary duty and unlawful trade practices. Jeff has represented securities industry clients in investigations and enforcement proceedings before government agencies and self-regulatory organizations, such as the Securities and Exchange Commission (SEC), the Colorado Division of Securities, the Financial Industry Regulatory Authority (FINRA) and the Certified Financial Planner Board of Standards. Jeff has also represented construction industry clients, including owners, lenders, sureties, developers, general contractors and subcontractors in lawsuits throughout Colorado. Obtained arbitration award of approximately $250,000 on behalf of client in a dispute between a majority shareholder against another shareholder for alleged misuse of funds provided by client to fund the operations of the company. Secured a prejudgment writ of attachment against mastermind of a Ponzi scheme on behalf of client in connection with an ongoing lawsuit for securities fraud. Obtained dismissal on behalf of a publicly traded company of a securities fraud claim. Secured a favorable settlement on behalf of a general contractor in a construction defect lawsuit against a subcontractor involved in the construction of a golf course clubhouse at a luxury development in Montana. Represented a general contractor at trial in Denver, Colorado in a lawsuit against a subcontractor who failed to complete its scope of work and a surety who refused to take action pursuant to payment and performance bonds provided. Successfully obtained a settlement on behalf of the developer of a new residential housing development in which several houses were damaged as the result of extensive flooding caused by the engineering firm's negligent design of the storm sewer construction plans for the development. Negotiated a settlement on behalf of a subcontractor that included entry of judgment against a builder and general contractor who failed to pay for labor, materials and services provided.